This book is the first in a brand new series that follows on from My Great Predecessors and sees chess legend Garry Kasparov reflecting on a pivotal time in chess history. Bobby Fischer's spurt towards the chess summit (1970-1972) marked the approach of a new era affecting all aspects of the game and opening theory in particular. Fischer demonstrated the need for deep preparation with both colors, expanded the range of openings knowledge, and laid the foundations for present-day professional chess. The leader of the new generation, Anatoly Karpov, fully reaped the benefits of the Fischer revolution by mastering the lessons of his great predecessor. Of the players of the older generation, only Victor Korchnoi was able to achieve such a high level of professionalism. Alas, Fischer then left the chess stage. However, the tectonic shifts he had brought about led to the beginning of a genuine revolution in opening theory and a revolution that overturned traditional impressions about many typical positions. Between 1972 and 1975 alone, progress in the field of opening theory was more significant than in the entire preceding decade! Under Fischer's influence chess was radically regenerated, a process which then continued to accelerate. As a result, from the 1972 Fischer-Spassky world championship match to 1984 and the Kasparov-Karpov matches, the overall picture of chess openings changed almost beyond recognition. This fascinating book tells the story of this opening revolution. This story is told not only with the insight of Garry Kasparov, but also as seen through the eyes of the leading players who were at the forefront of the development of chess theory during those key years. The reader will witness at first-hand how rapidly and inexorably chess development approached the coming computer era. From the Foreword: "With this volume I open a new, essentially autobiographical 'Modern Chess Series', which will also cover all my matches with Anatoly Karpov, my selected games, and my matches with computers. 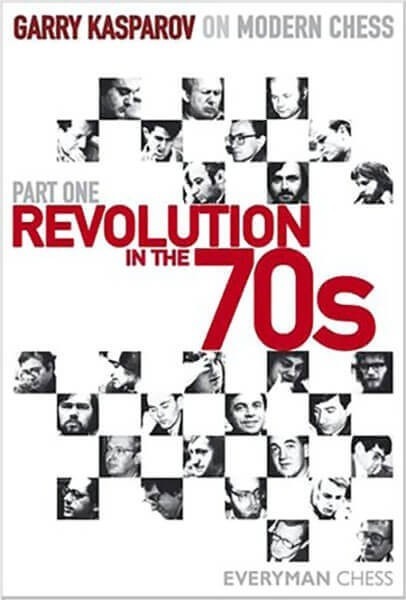 Initially the history of the openings revolution of the 1970-1980s and of the battles with Karpov was conceived as the final part of the project My Great Predecessors, but the chapter about the 12th world champion brought this to a natural conclusion. What will now be described are events in which I took a direct part?"